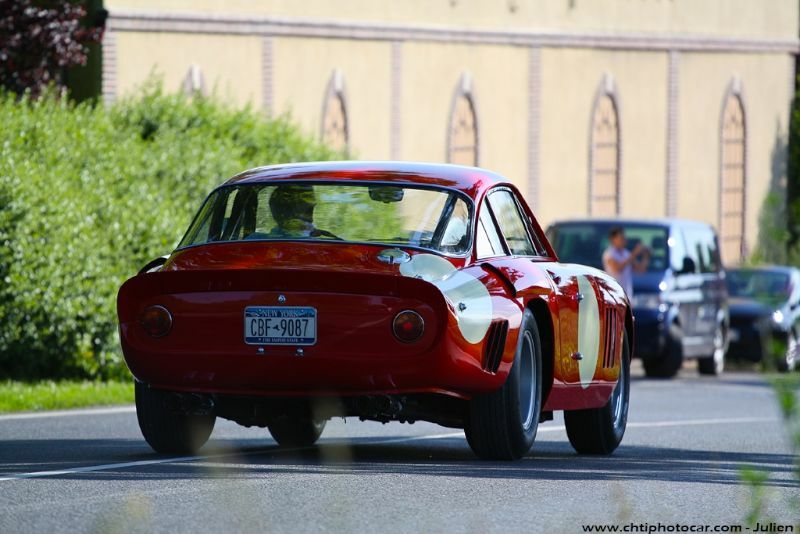 The Ferrari 250 GTO Tour was held July 1-8, 2012 to celebrate the 50th anniversary of the legendary Gran Turismo Omologata from Maranello. 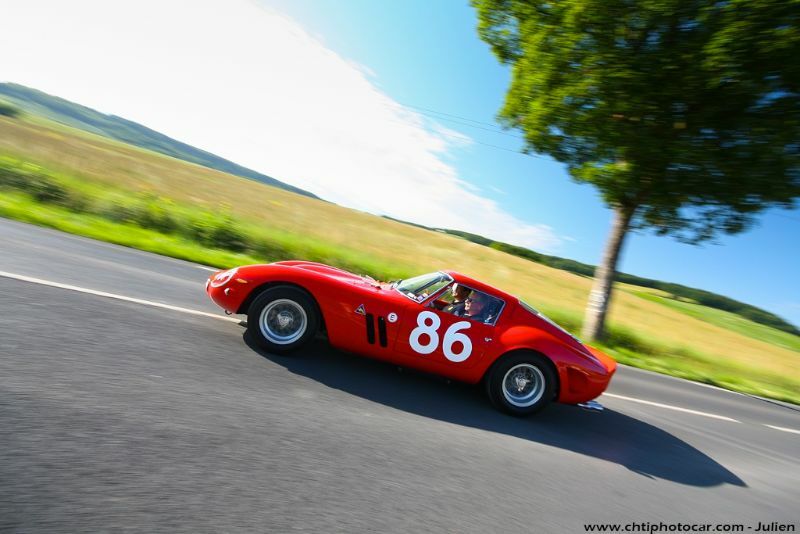 A gathering of 23 Ferrari GTOs toured the Champagne region of France, with stops at castles, vineyards and race tracks. 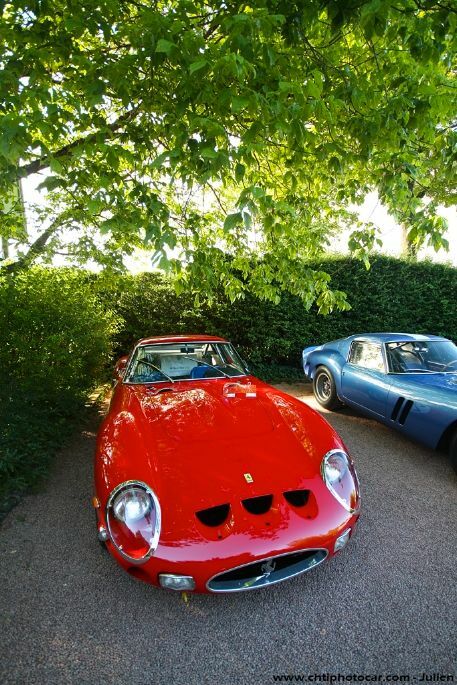 A total of 36 Ferrari GTOs were produced in 1962 and ’63 and three ‘Series II’ were built in ’64, bringing the total of GTOs made to 39. 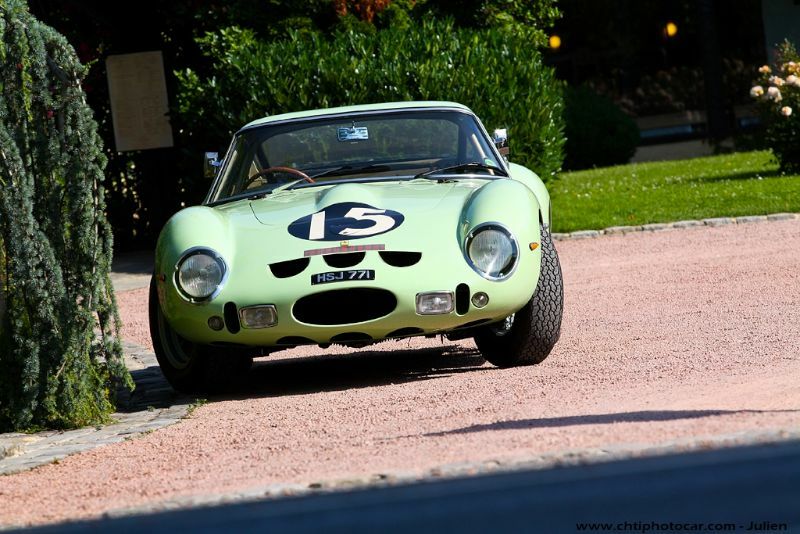 The car debuted at the 1962 12 Hours of Sebring, driven to a 2nd overall finish by Phil Hill and Olivier Gendebien. Ferrari dominated international GT racing with the ever-competitive GTO, highlighted by winning the FIA World Manufacturers Championship from 1962 to 1964. Today, the cars are some of the most desirable in the world, with values for top cars surpassing $35 million USD. Given the immense popularity of the Ferrari 250 GTO, it will come as no surprise the 50th anniversary of the famed racing car has been celebrated for nearly a year, including a gathering of more than 20 GTOs at the 2011 Pebble Beach Concours d’Elegance and a dozen at the 2012 Amelia Island Concours d’Elegance, among others. 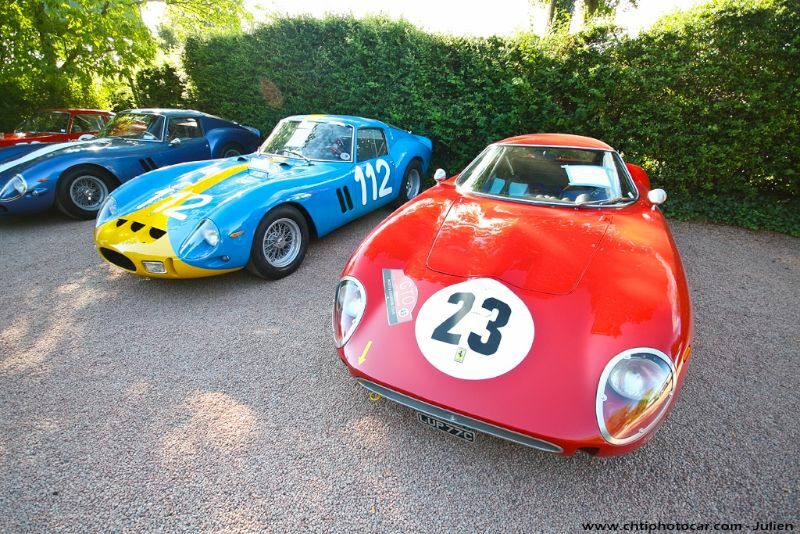 The 2012 Ferrari 250 GTO 50th Anniversary Tour honored the cars at many locations where it celebrated its first victories. 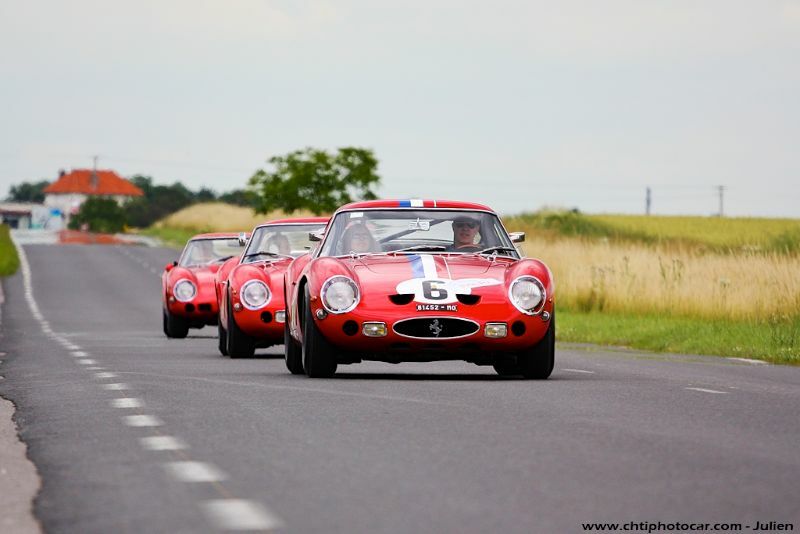 The event’s 23 participants started their engines on the legendary Reims-Gueux race track before arriving at the Hautvilliers Abbey for a gala dinner with Ferrari Chairman Luca di Montezemolo. 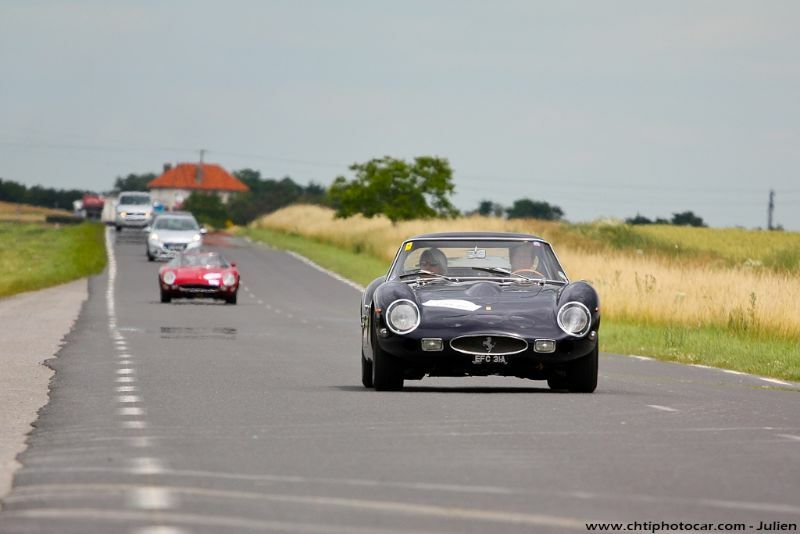 The Tour also put in some laps on the race track of Monthléry and discovered the castles of Villlandry and Chambord at the Loire before heading to Circuit de la Sarthe as guests of the Le Mans Classic historic races. 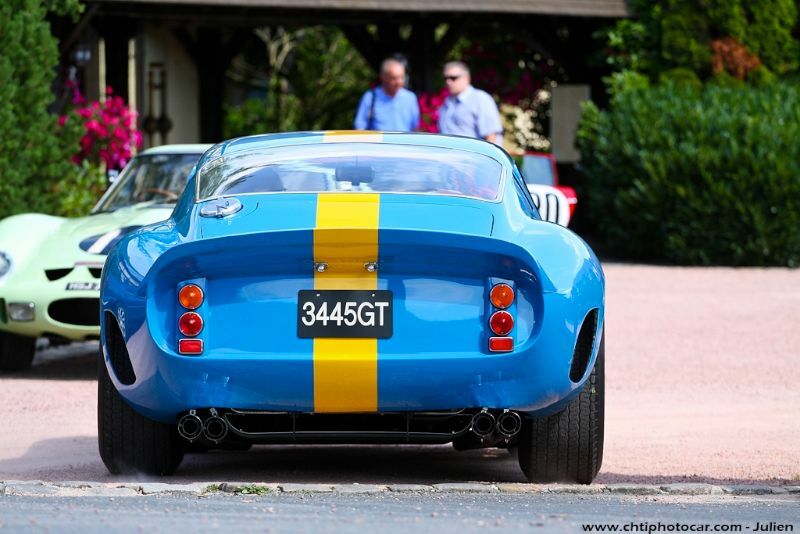 Julien Parent and Remy Dufont of Chtiphotocar offer the following pictures that captured the Ferrari 250 GTO 50th Anniversary Tour in wonderful form. To see more from Julien and Remy, visit www.chtiphotocar.com. Wonderful, wonderful. I thought I had seen every GTO built. Was I ever wrong. Great article, great photo’s. You really made my day with this one. Think I’ll go out to my Camaro and drink a bottle of Korbel. whoops..(public schools).Crash, story made the cnbc news..
Shouldn’t be impossible to repair any GTO when the car’s worth over $30M. You could have 100 well-paid fabricators, machinists and other specialists working full-time plus a facility for a whole year for about 1/3 that amount. “Part unrepairable no longer available” is meaningless at that level! now i know costs and value have changed in 30 years, but, about that long ago i was friends with two brothers who had the reputation of being almost the best ferrari restoration techs in the business! 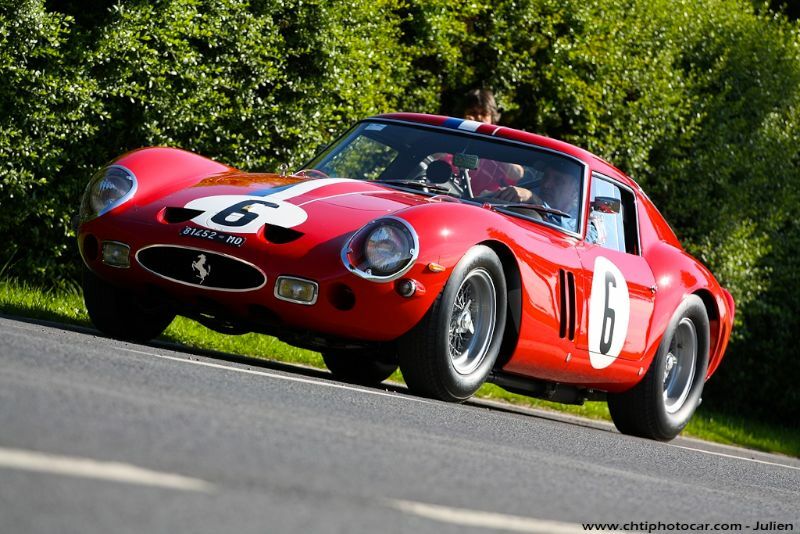 they felt that the 250 swb and gto could be restored for much less cost than almost any other car of that caliber. the reason they gave was that almost all the repair parts could be sourced from lesser value 250 models! a good number of years later i ran into one of them at a ferrari show and swop meet here in chicago their shop was also in the area, and i asked about the ferrari business and he told me that he didn’t do a lot of ferrari’s because the bug’s had taken off!